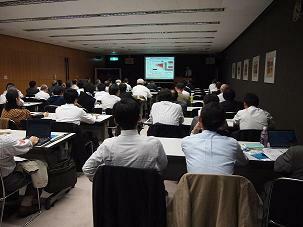 The 2011 Third Commemorative Lecture of IEEE Tokyo Section entitled "Ambient Electronics and Extremely Low-Power Circuit Design" was held in the Glass Building of the Tokyo International Forum on Monday, October 31, at 4:00 p.m. with 56 participants. The lecturer was Dr. Tadayasu Sakurai, Professor of the Tokyo University, recipient of the 2010 IEEE Donald O. Pederson Award in Solid-State Circuits. In the lecture "Ambient Electronics", which is ubiquitously distributed and unconsciously used, as well as its key technologies were introduced. In particular, recent technologies on low power integrated electronics such as the design of extremely low-voltage systems are presented. The talk attracted participants' strong interest and they engaged in a lively Q&A session with the speaker at the end of the lecture. Dedication Ceremony of IEEE Milestone for the First Direct Broadcast Satellite Service was held on November 18th, 2011, at NHK Science and Technology Research Laboratories, Tokyo, Japan. It was approved as an IEEE Milestone on April 5, 2011. 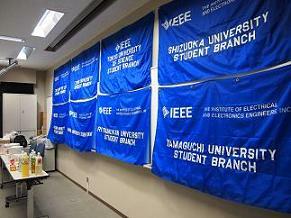 IEEE Tokyo Section hosted the Dedication Ceremony for the Plaque of IEEE Milestone in Electrical Engineering and Computing. In this ceremony, Prof. Tomonori Aoyama, Chair, IEEE Tokyo Section gave an address, and Dr. Eiichi Ohno, IEEE Japan Council History Committee Chair, explained the IEEE Milestone and the background of the approval. Dr. David E. Burger presented commemorative plaques to Mr. Naoji Ono, Executive Vice-President, NHK. After the Dedication Ceremony and the social gathering, the 2011 Fourth Commemorative Lecture of IEEE Tokyo Section entitled "Commemoration of IEEE Milestone Award on First Direct Broadcast Satellite Service" was held in the Auditorium of NHK Science & Technology Research Laboratories (STRL) at 1:00 p.m. with 138 participants. The presenters were Mr. Etsuro Kimura, Ex-Director General NHK STRL and Dr. Takehiko Yoshino, Ex-Executive Director-General of Engineering NHK. Mr. Kimura's talk was entitled "Development of satellite broadcasting technology", which reviewed its dawn era, development of the satellite, antenna, transponder, low noise converter etc. and launching, with various episodes. Dr. Yoshino's talk was entitled "Dawn of the satellite broadcasting and the future", which mentioned the conception and history of ISDB - the fundamental component of today's digital broadcast -, BS broadcast using ISDB, as well as the hope for its future evolution. After viewing commemoration video regarding the Award, the lecture was concluded by Dr. Keiichi Kubota, Director-General NHK STRL. 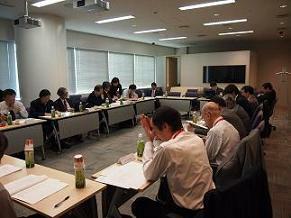 The 2011 Fourth Meeting of Tokyo Section Executive Committee was held on Thursday, November 24, from 3:00 p.m. at Shiodome City Center, Tokyo. The 2011 Fifth Lecture of IEEE Tokyo Section and Second Lecture of Life Members Affinity Group (LMAG) were co-held in the Glass Building of the Tokyo International Forum on Friday, December 2nd, at 4:00 p.m. There were rising of 89 participants which made the room with all extra chairs full. The lecturer was Mr. Kazuo Hagimoto, Director of NTT Science and Core Technology Laboratory Group. In the lecture entitled "The Communication Network seen from the Great East Japan Earthquake", he explained the indispensable role of the network on the occasion of catastrophic earthquake, actual circumstances of the ruin and elicited problems are summarized. In addition, a perspective towards future robust network was described. The lecture was succeeded with quite active Q&A and concluded by the closing remarks by LMAG Chair, Dr. Kohei Habara. 2011 Student Branch Leadership Training Workshop (SBLTW) was held at Kumamoto University on November 12, 2011. 56 members, including 48 students from 22 out of 23 universities which have each Student Branch were participated. The SBLTW began with the self-introduction of JC SAC members. Then, JC SAC Vice-Chair/Trainer, Professor Onoye of Osaka University, lectured about IEEE overview and IEEE student branch administration. After the lecture, the R10 Student Congress 2010 held in July at Auckland, New Zealand, was reported, and all the participants introduced themselves and each Student Branch reported their original activities. Memorial plaques were given to SBs of Ritsumeikan, Yamaguchi and Kyoto Universities for their tenth anniversary celebration. In the afternoon session, activities of JC GINI (Global Integrated Network of IEEE) were introduced, and competition results of the JC GINI logo design were reported. The winner was the Hokkaido University SB. Then students worked on the group discussion program led by the Kumamoto University SB. The theme of the group discussion was "The Great East Japan Earthquake", and the students divided into eight groups took unique discussions and enjoyed their presentations of the outcomes. 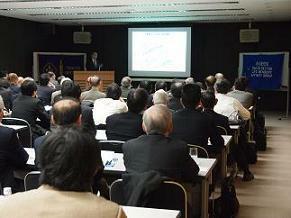 Three members and one company in Japan received 2012 IEEE Technical Field Awards on November 21, 2011.